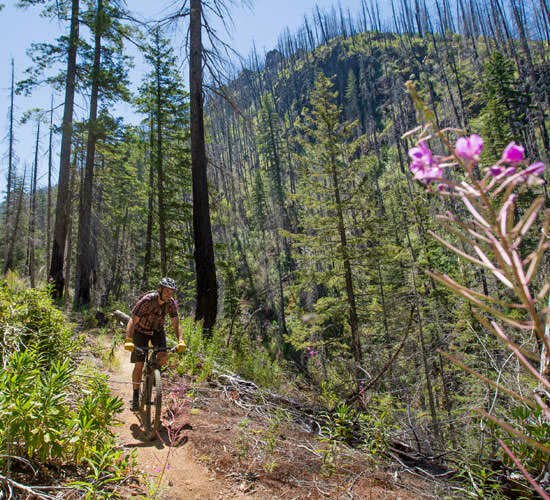 About the Oregon Timber Trail: Once in a while, a new trail development changes the sport of mountain biking. That’s certainly the case with the Oregon Timber Trail (OTT), an almost impossibly epic trek across the state of Oregon. Stretching 669 miles between Oregon’s borders with California and Washington, the OTT features all the best of off-road cycling in one stitched-together network — singletrack, dirt and gravel — complete with mapped segments, logistic details and local recommendations along the way. The route is divided into four tiers, representing the state’s topographical variations: Fremont, Willamette, Deschutes and Hood. Whether you’re ready to conquer the entire bucket-list trail or piece it together over multiple trips, the OTT sets a new standard for long-distance trail riding. So you’ve surfed the dirt of Oregon’s mountain bike trail systems, and maybe even gotten a few friends passionate about the sport too. But now you’re ready for something bigger — something legendary. The Oregon Timber Trail is calling. 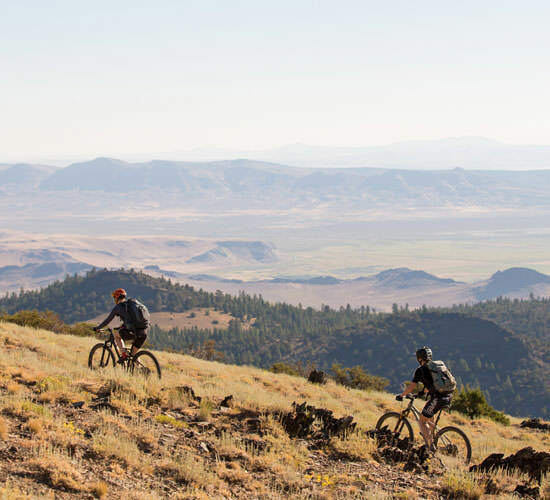 You can sample the entire menu of Oregon riding — all the terrain, geology, ecosystems, challenges and hospitality this state is known for — on the Oregon Timber Trail (OTT). In our opinion, it’s simply the best long-haul bikepacking trail in the country. And you don’t have to ride the entire route to understand just how epic it is. Let’s start with the scope: The OTT runs south to north, from the California border to the Washington border. We’re talking 669 miles of sublime riding, all connected and mapped, and nearly 70,000 feet of elevation gain. 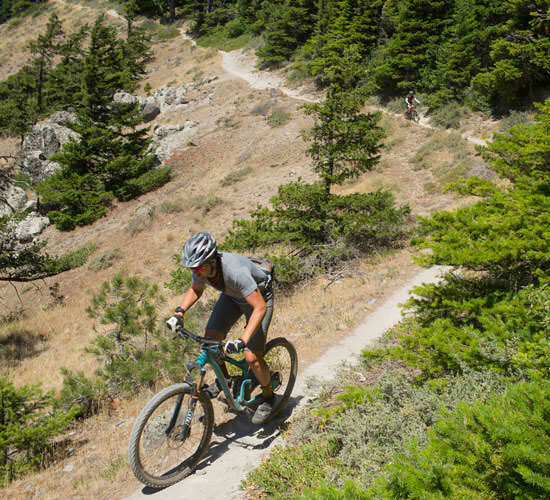 More than 60 percent of the Timber Trail is straight-up singletrack, with only 9 percent touching paved roads. Simply put, it’s a treasure of a trail. Not everyone has 20 to 30 days to ride the whole OTT in one big bite. (But if you do, good for you. Start planning!) Luckily for the rest of us, the trail is broken up into four distinct tiers, each representing a different flavor of Oregon riding. And those tiers are further broken down into segments, each with distinct day rides, so you can take on whatever length you have the time and fortitude for. Some people are riding “a tier a year” to cover the whole thing in manageable time chunks. The logistics are made as efficient as possible, too. The official Oregon Timber Trail site includes information about supply drop sites, lodging and camping, distance between water sources, plus lodging, food and drink and attractions along the way. The wide-open and rugged basin-and-range territory of the Fremont Tier, where you pass Oregon’s highest-elevation city and rise to 8,200 feet on the trail. The Willamette Tier’s stunning transition from dry pine forests to lush fir groves and meadows, where the sound of streams and springs provide a refreshing respite. Dramatic volcanic landscapes on the Deschutes Tier, where countless alpine lakes lie in the shadow of snowy giants and endlessly fascinating geology. A history-filled Hood Tier, featuring steep forest trails that once led pioneers, before skirting Mt. Hood and dropping down to the magnificent Columbia River Gorge. 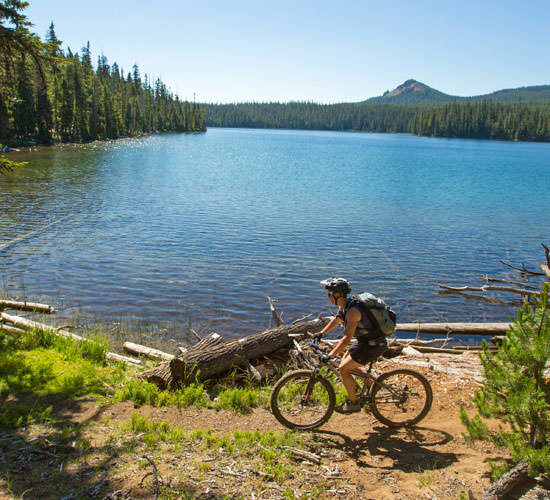 No matter where on the trail your tires hit, you’ll never be too far from the other reasons why people love riding in Oregon: local breweries, farm-fresh cuisine, historic inns and lodges, and charming small towns offering big welcomes. Now is your chance to choose a tier to explore, try a weekend getaway to get a feel, or start planning an epic trip of a lifetime, border to border. The Oregon Timber Trail is all ready and waiting for you.